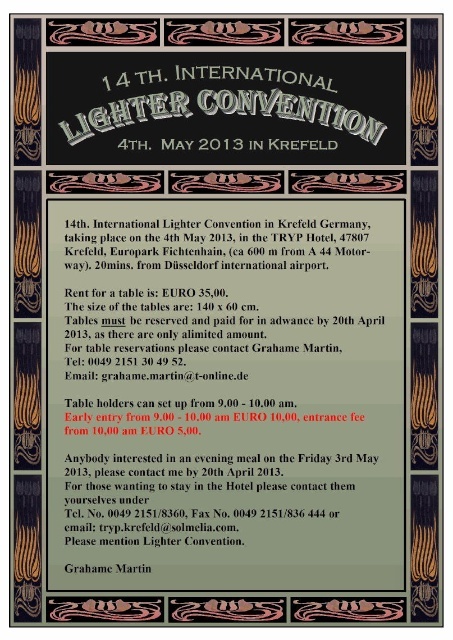 On the 4th of May, 2013 the 14th International Lighter Convention in Krefeld, Germany will take place. Below more information about the meeting. I hope I will be able to be there! 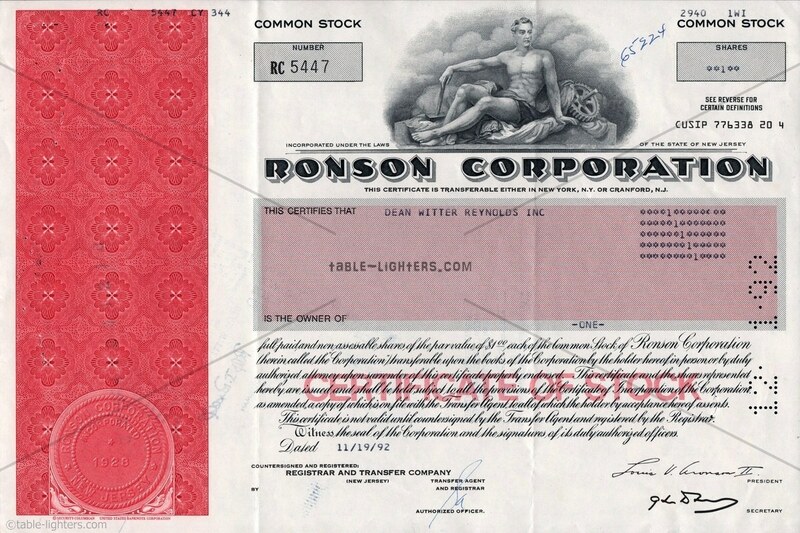 In the 1960s Ronson was ranked on the 7th place of World's best-known and recognized brand names in the United States. Not anymore as on October 25, 2011 Ronson Corp, incorporated in 1928, went out of business. 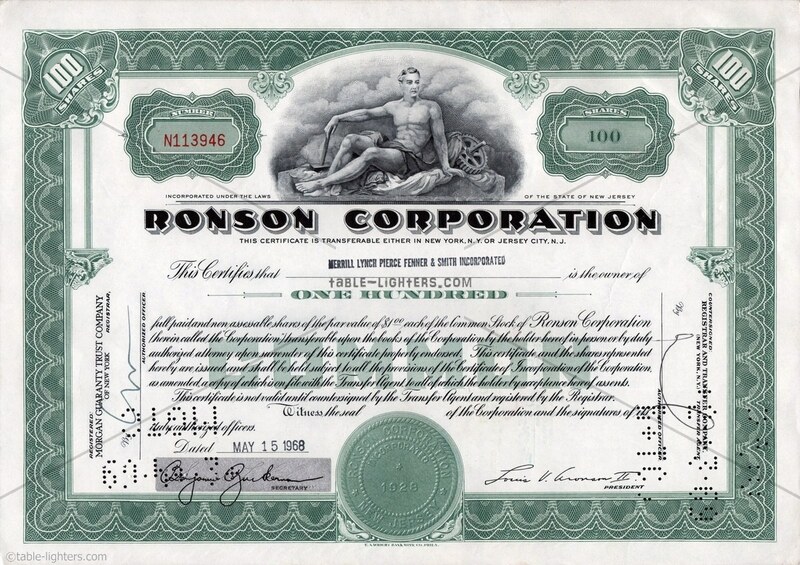 Also the stock ownership exists today rather as electronic records than physical documents with signatures on paper printed by the Federated Banknote Company. 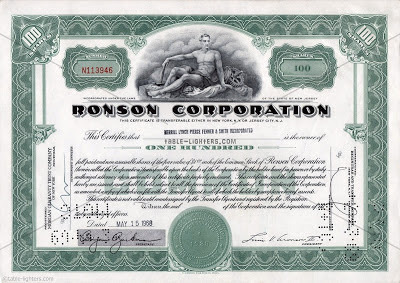 The average value of the Ronson Corp stock certificates lies between $3-10 although there are many factors that determine its value. 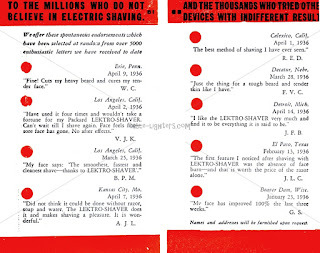 These include condition, age, historical significance, signatures, rarity, aesthetics, original face value, bankers associated with issuance, transfer stamps, cancellation markings, issued or unissued, printers, and type of engraving process. 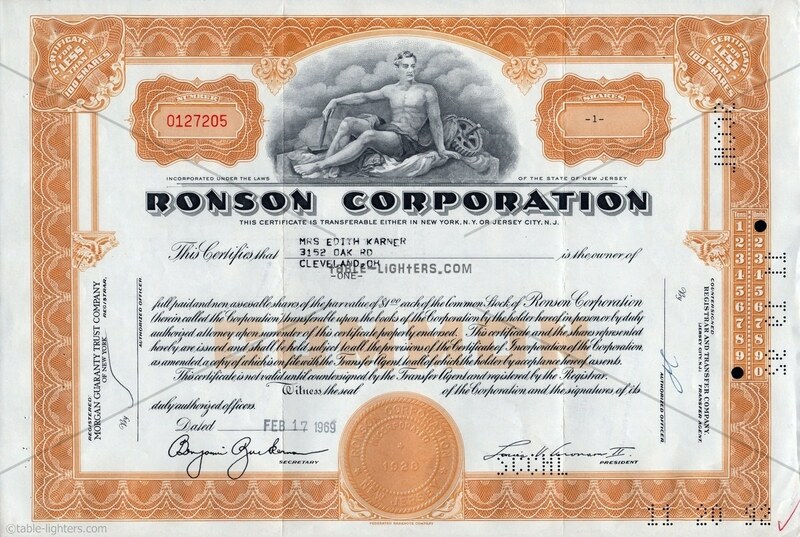 The earlier stock certificates issued in the 1940s and 1950s bared the name Ronson Art Metal Works and their collectors' value is higher (approx. 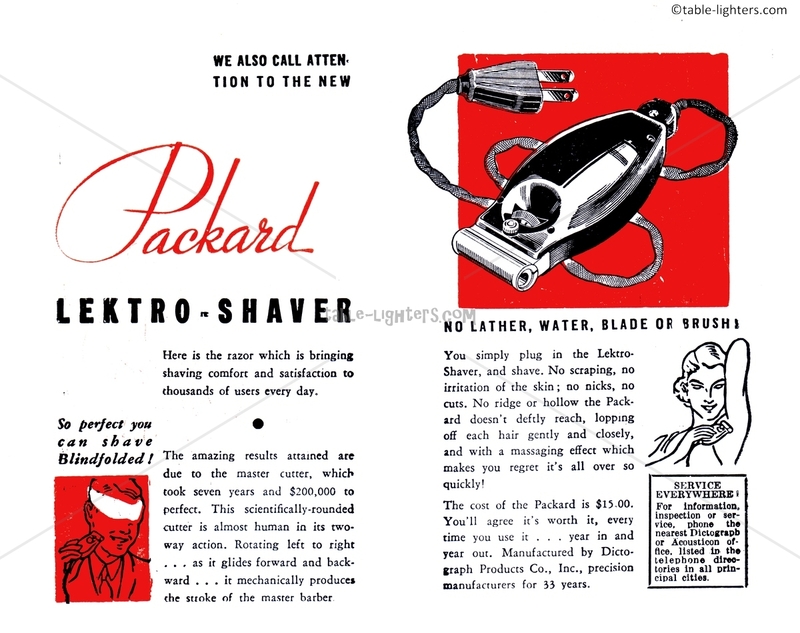 $15). 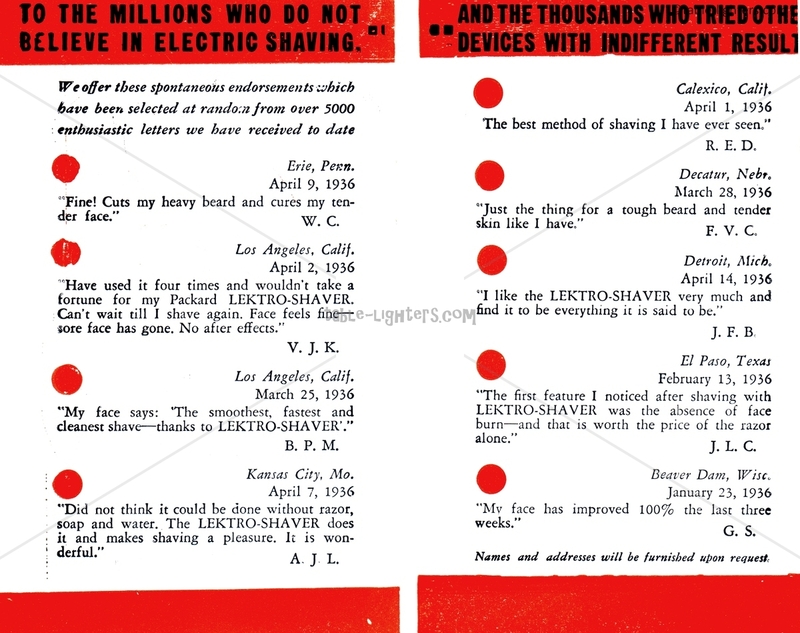 The earliest issued in the 1920s and 1930s bared the name Art Metal Works and are rare (approx. $40). 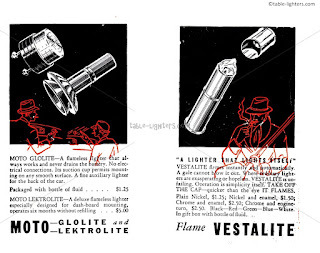 Although all of them have the same vignette of an allegorical man sitting in front of a gear holding a hammer. Worth to know: the study and collection of stock and bond certificates is called scripophily. 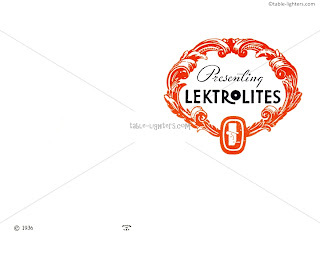 The word was coined by combining words from English and Greek. The word "scrip" represents an ownership right and the word "philos" means to love. Wikipedia claims that there are "thousands of collectors (scripophilists) worldwide in search of scarce, rare, and popular stocks and bonds. Collectors who come from a variety of businesses enjoy this as a hobby, although there are many who also consider scripophily a good investment. 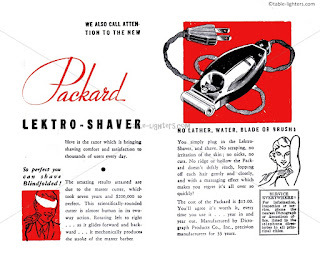 In fact, over the past several years, the hobby has exploded in popularity". 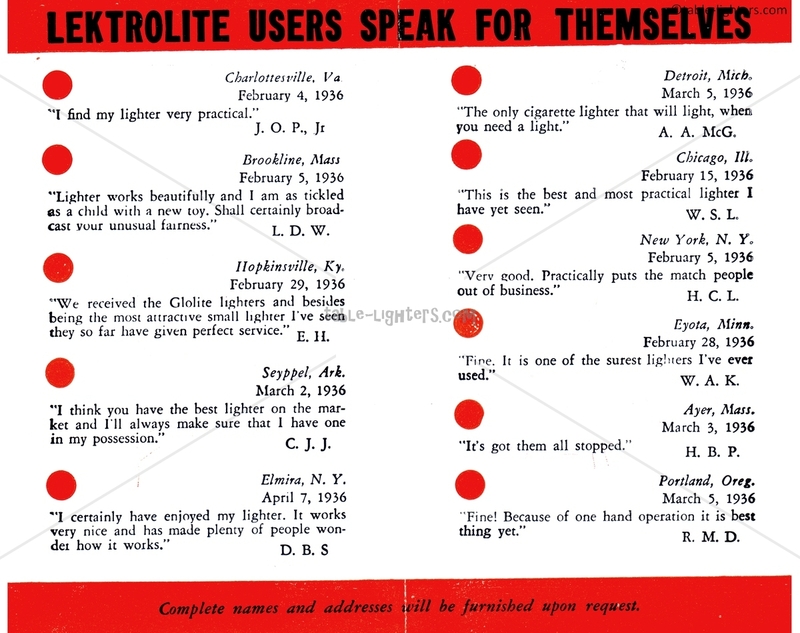 Zippo collectors never cease to amaze me. 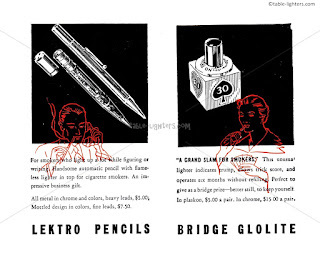 There is no other lighter company that has so many devoted and well organized collectors. What does attract them? 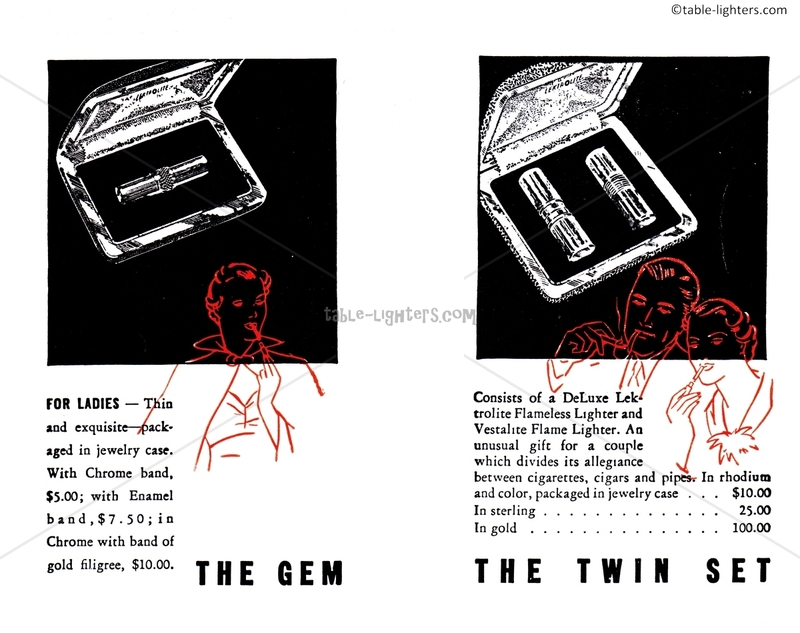 What makes the Zippo lighters so collectible? 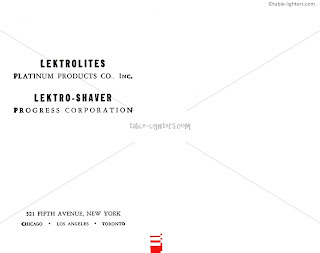 The simple design? Life warranty? No. Somewhere in the 1960s Zippo discovered that sales droved only by customers willing to pay for its pure function would not make it successful at all. 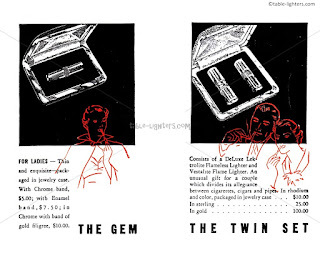 A new marketing strategy was implemented which aimed the collecting spirit of some of the potential customers - limited editions and special editions of Zippo lighters were issued; a wide range of various finishes and designs were introduced each year. Zippo is easy customizable and need little space. 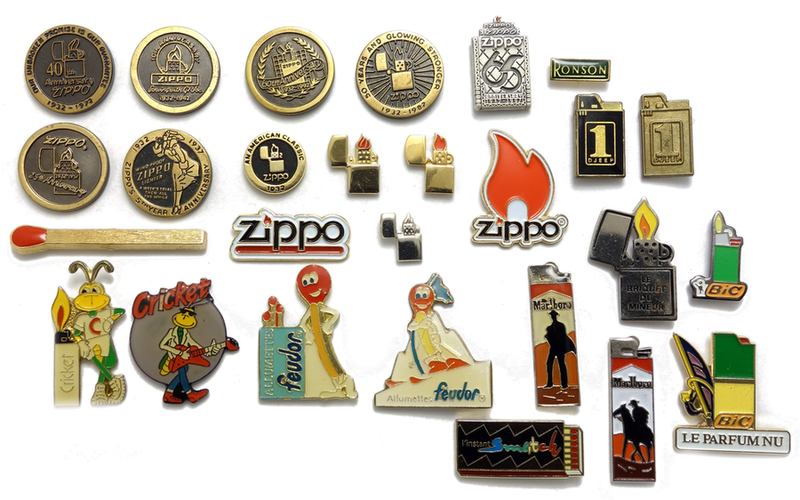 Many storage and display cases are provided by Zippo itself and by many enthusiasts. 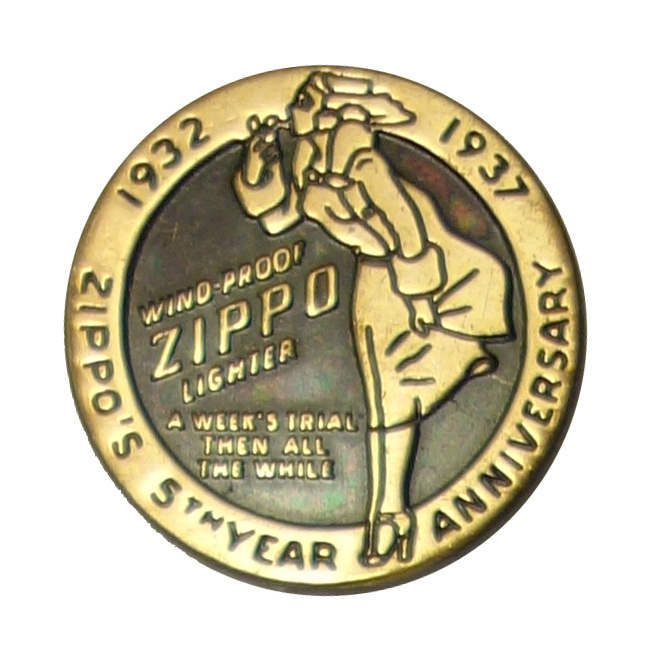 Furthermore Zippo supports Zippo Clubs and closely cooperates with many of them. The strategy works well and Zippo still exists whereas many other great lighter manufacturers like Evans, Ronson, Thorens with good quality products vanished or almost vanished from the market. 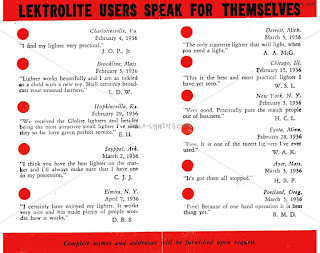 Zippo lighters attract a lot of collectors which are willing to pay top dollar for the rarest examples. 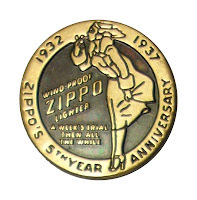 Yesterday a rare Tall (2 7/16”) early 1933 Zippo with the three barrel outside hinge was sold for $6,888. The opening bid started at $99 on January 8th 2013. 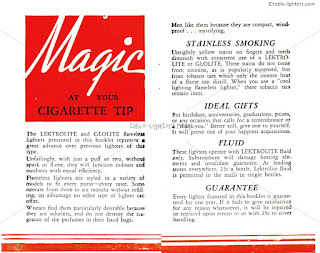 Seven days later the lighter received 23 bids. 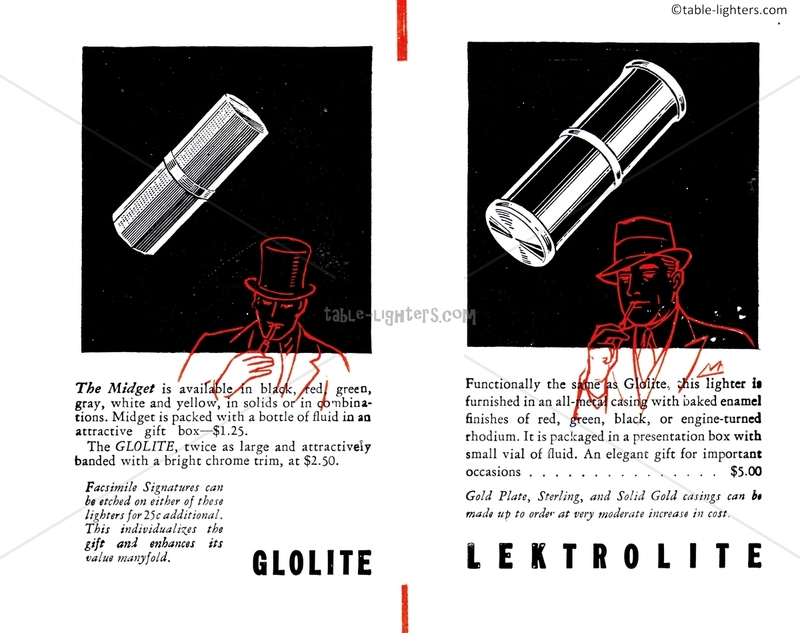 A lapel pin is a small pin often worn on the lapel of a dress jacket. Lapel pins can be purely decorative or can indicate the wearer's affiliation with an organization, company, cause or even a product. In recent years although, pin collecting has become a very popular hobby this is why they can also be seen on lanyards, bags, belts, hats and specially designed cards which help to store and display pins. It is a very affordable hobby although prices range from everything below $1 to over $500 dollars for very sought after pins or made of precious materials like gold. Pins also require limited space which might be another pro for starting a collection. Devoted pin collectors may choose from many discussion forums, pin events and pin clubs to trade and talk about their hobby and special interest. Because of the big variety of pins collectors focus on lapel pins associated with a particular theme. 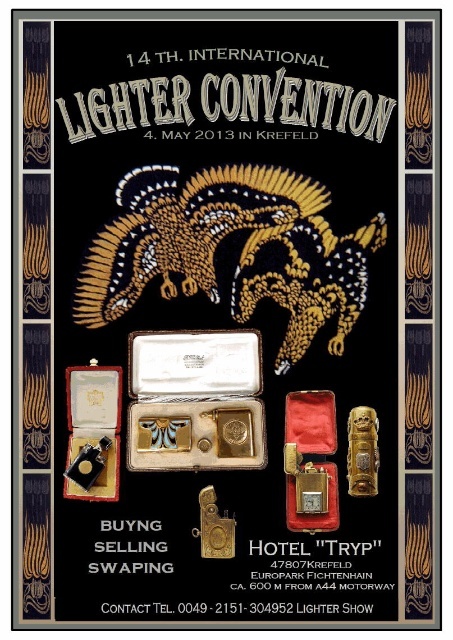 Lighter collectors might enjoy the fact that there is a quite substantial amount of very interesting pins on lighters and other tobbacciana items. I have started to research this interesting field less than 6 months ago and I was able to gather almost 20 different lighter lapel pins made between 1970s and 1990s; mainly Zippo, Feudor and Cricket. I guess there is still room to acquire more of them. Cloisonné (hard-fired enamel) - the design is stamped into brass or other metal and the recessed areas are filled with enamel which is then fired at a high temperature (800-900); this process allows to get high quality pins with a very high level of detail and color. Etched pins (only the shape of the piece is stamped out. The design on the face of the pin, is chemically etched into the base metal, then color-filled by hand and baked before being polished. In the final step, a thin coat of clear epoxy can be applied to the surface.) Epoxy coating is optional. 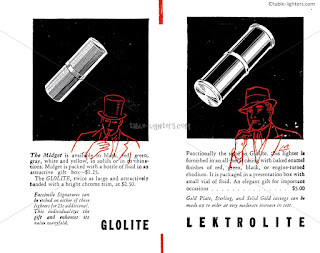 Other techniques that might be used are photo dome and screen printed. 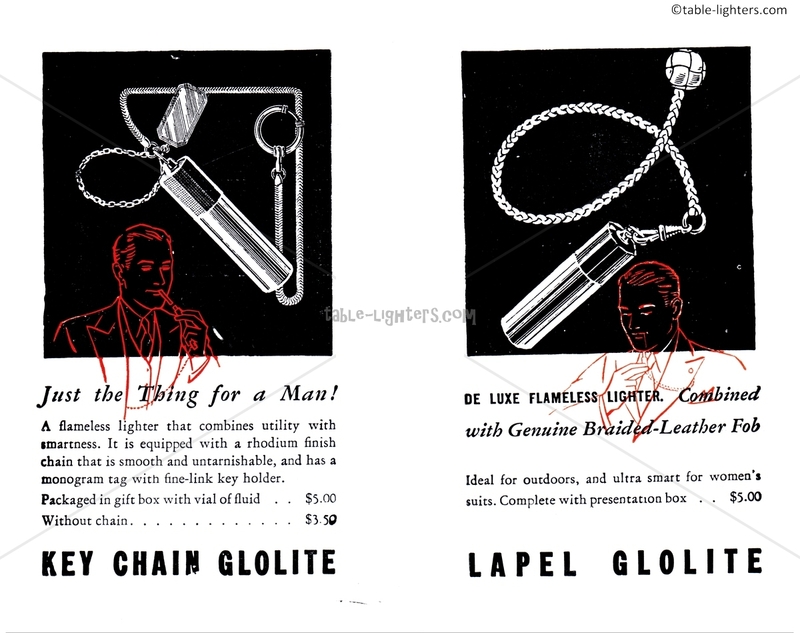 The most common attachment for lighter lapel pins is the butterfly clutch. The back of the pin has a small prong attached and when the butterfly clutch is squeezed and pulled up from the prong the pin is released from the clutch. Butterfly clutches are usually made out of metal but theoretical can be also made out of plastic and rubber. 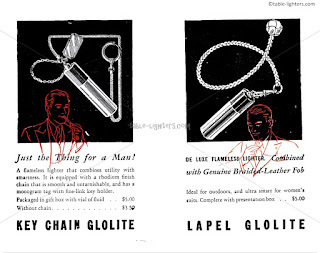 Another quite common attachment is the stick pin (thin needle with a collar that slides up and down the needle to secure or release the pin) although you may also encounter a jewelery clutch or tie tacks which have usually an elegant and simple design although are very rare to find. Additional markings of a pin might be stamped on its back. It may contain copyright information, edition or the country they were made in. Lektrolites were produced by the Platinium Group Co. Inc. from 1932 till late 1960s. 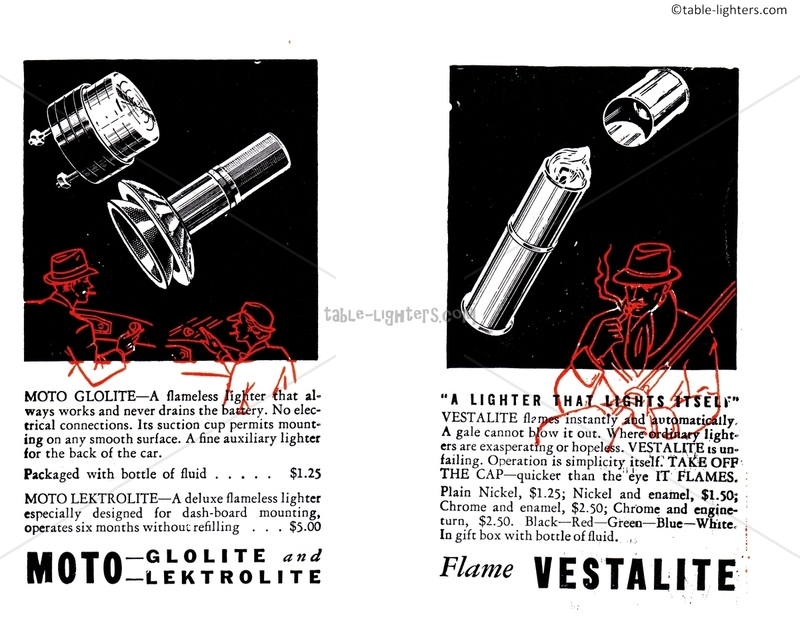 The first patent (1,899,008) for the flameless lightning mechanism was filled on the 9th January 1933. 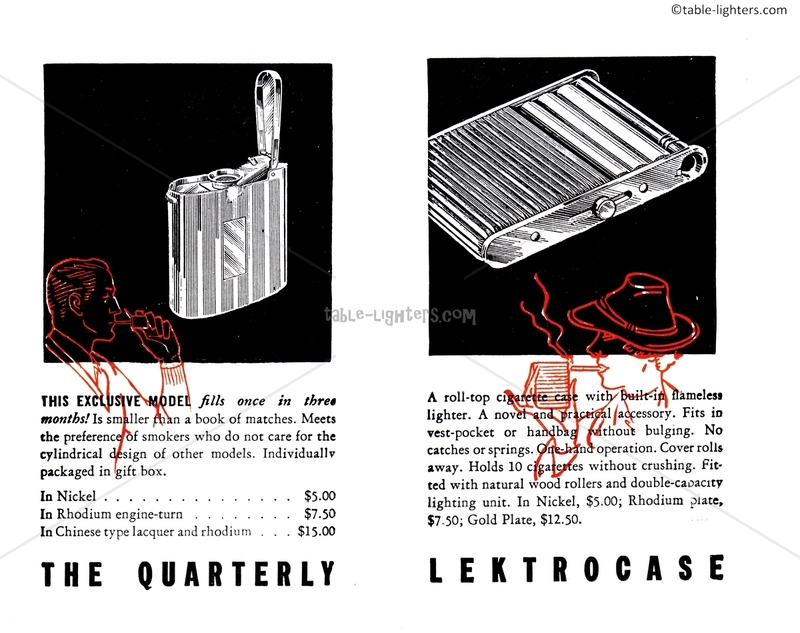 The popularity pick of these lighters was reached in the late 1930s. 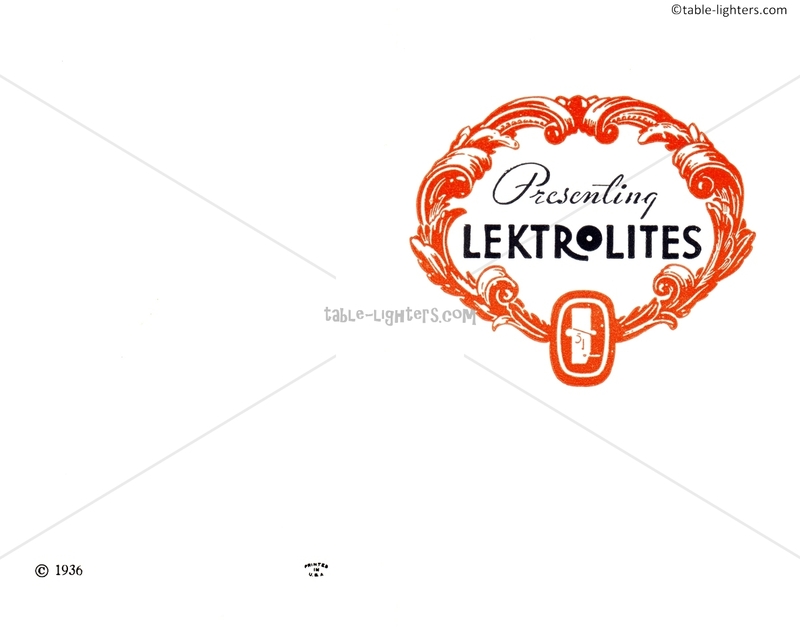 Below a 24-pages long catalog of Lektrolites from the 1936.